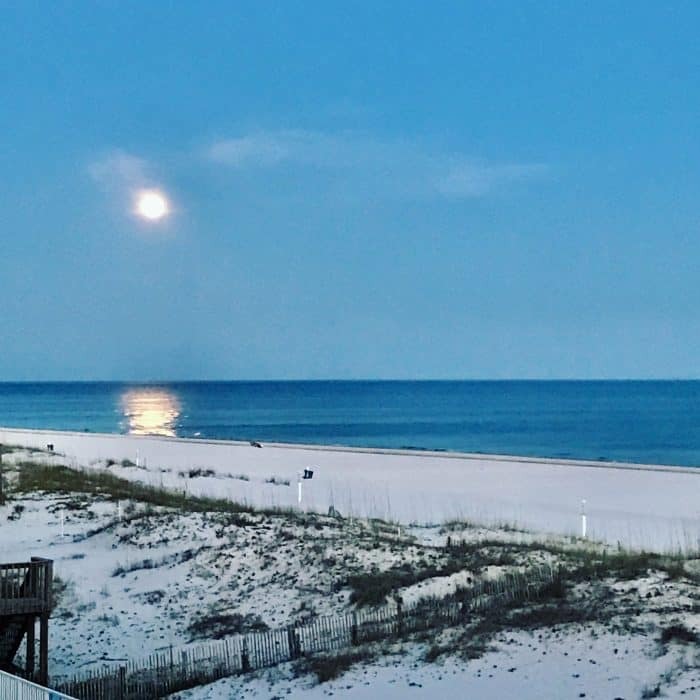 If you’re looking for affordable places to stay in Gulf Shores, there are a few factors to consider. Find out where to stay in Gulf Shores on a budget based on our most recent visit. Check out the Oz Duplex by GulfSands Rentals if you’re looking for affordable places to stay in Gulf Shores. Here’s a video walkthrough of the “Toto” side of the duplex. Privacy – There aren’t any nearby high-rises so you don’t have to worry about the beachfront being too crowded. We felt like we had our own private beach for most of our visit! 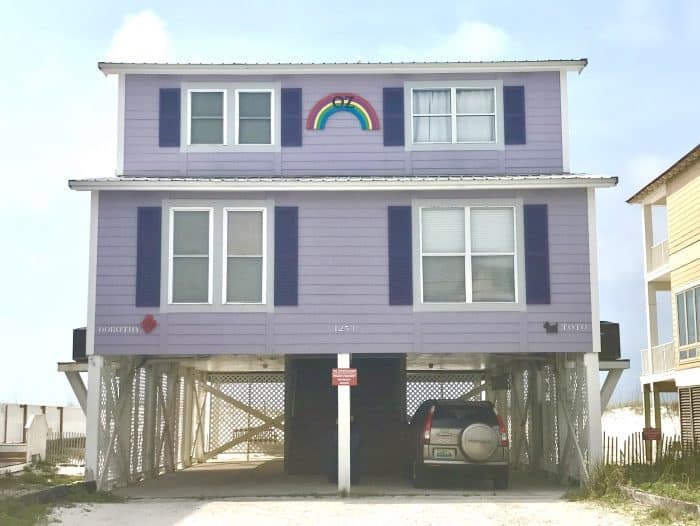 Granted during peak season there will be more people on the beach, but since Oz is surrounded by other beach houses rather than condos, you’ll avoid overcrowding. 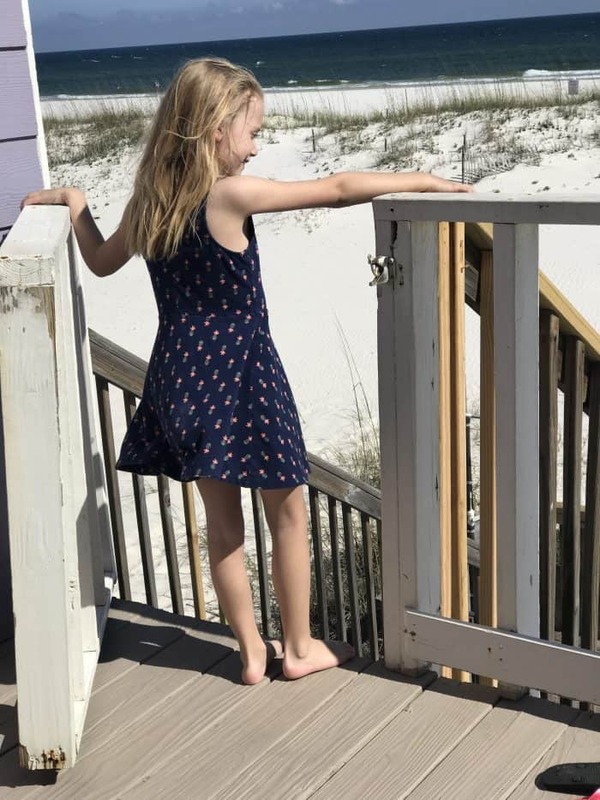 Ease of beach access – Anticipating the chore of lugging our kids and all their stuff down to the shoreline, we bought a wagon to help ease the load. The Oz Duplex has such ease of access that we didn’t even wind up using it. 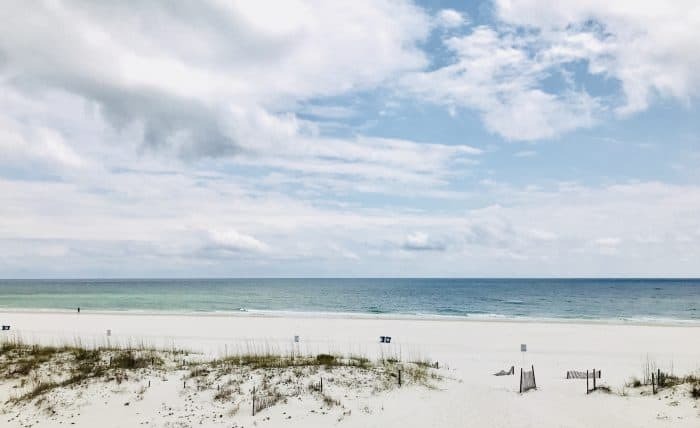 Some affordable places to stay in Gulf Shores boast being right on the Gulf, and while technically true, you’re exhausted by the time you hike down there. Same goes for condos except add all the elevator trips and trips through the lobby. The beachfront proximity was one of the things we loved best about our rental. Full kitchen – If you’re searching out where to stay in Gulf Shores on a budget, you need to factor in other costs such as meal prep. A hotel might provide a cheap place to stay, but how much are you going to wind up spending by eating out multiple times per day? The full kitchen in Toto helped us save on meals by prepping them ourselves and by allowing us to preserve and reheat leftovers. Proximity to restaurants and activities – Speaking of eating out, the Oz Duplex is within 5 miles or less of some of the best places to eat in Gulf Shores. And if you’re participating in some of the many family activities in Gulf Shores, you’ll be close to them as well. I’m getting really tired of waking up and not being at the beach, so hopefully, we’ll “return to Oz” (see what I did there?) very soon. Wouldn’t you miss this view too? 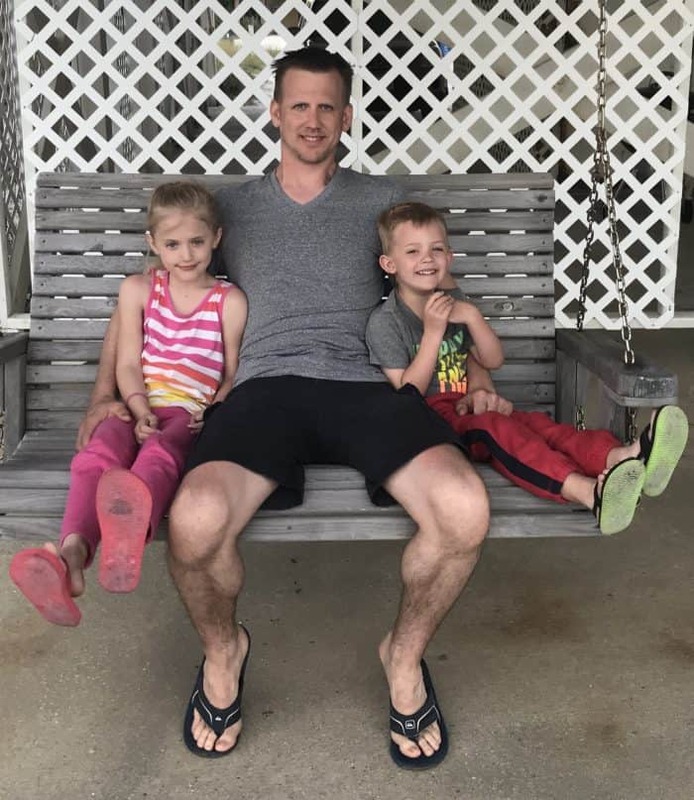 Check out my post on things to do in Gulf Shores with kids too!